When I decided to write a series called Clan of Dragons, the time had come to take advantage of my son. He had served in Iraq, had attained the rank of Drill Sergeant, and had retired from service, but I told him many years ago that I wanted to use him as a cover model the next time I wrote a series that included dragons. The reason? The large dragon tattoo on his back. Since Eric travels all over the country as a cell tower inspector, getting him to visit on a sunny day, so I could photograph him outside on my deck, took some planning. The day came, and he brought his collection of swords and dirks, and I snapped over a dozen poses of him dressed in his dad’s Clan MacBean red and black kilt.. I purchased a photo of the foggy peaks on the Scottish island of Skye, where the series is based, and used Photoshop to ‘color’ the kilt to match the green kilt in my story, and added blond hair. The result became the cover of SMOKE, the second book in the series. I am using other poses for the next book, SMOLDER, which transforms Eric into a warrior with long black hair. I am very proud of my son’s service to his country, and for helping his mom with this project. The green dragon tumbles off a craggy peak, and lands in a pile of snow. When someone walks on Wynn’s head, he jumps free, and accidentally slams a wolf against a tree. When the unconscious beast shifts into a naked female, explanations are in order. Wynn enjoys shifting into a wolf to run through the forest, but she is a stranger. When she wakens, he explains he and his two brothers mean her no harm. After she allows them to carry her injured body into a cave, his brother Evan’s mate, Vika, cares for her. Kera reveals she is hunting a human, who might be a pirate. Wary about the golden-haired shifter’s mission, Wynn fears for her safety, and his heart. While tracking the human who murdered her lover, Kera awakens in deep snow to dragons staring at her. One looks as if he wants to eat her, and the other smells like smoke. With an injured hip, and no energy to shift back into her wolf, she allows a pretty human to care for her. The dragons take up her search, but the pirates enter the cave. Kera leads the pregnant human into the underground river. Only by fighting for their lives do they escape. While assisting a human lad in the village, a man recognizes her, and abducts her. Wynn shows up in human form, and they fight against the man who is the cause of her nightmares. Her wolf pack wants her back, but the dragon has stolen her heart. Will she stay in Wynn’s bed, return to her pack, or possibly die while killing her lover’s murderer? Either way, her life will forever change. Before she could answer with a resounding nay, a roar shook the tree, and dumped snow from the branches above them, onto their heads. Nancy Lee Badger loves chocolate-chip shortbread, wool plaids wrapped around the trim waist of a Scottish Highlander, the clang of broadswords, and the sound of bagpipes in the air. After growing up in Huntington, New York, and raising two handsome sons in New Hampshire, this former Army Mom moved to North Carolina where she writes full-time. 1. 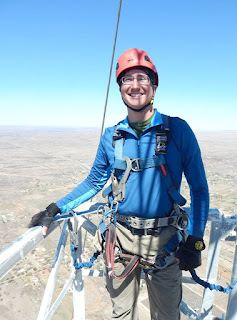 Leave a comment about heights and/or tattoos .... would you climb a cell tower? Do you have a tattoo? That's a negative on both accounts for me! 2. Comments are open through Saturday, August 27, 10 pm in Baltimore. 3. I'll post the winner on Sunday, August 28. 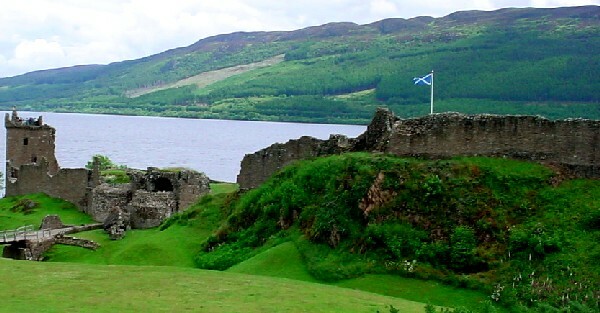 My favorite dragon is Nessie, often seen from Urquhart Castle on Loch Ness. I like being up high, so I would have no trouble with climbing a cell tower. I don't have tattoos & no plans to get any. If I am in a 4th floor hotel room, and look down from the balcony, I get vertigo! Not sure where my son gets his 'no fear of heights' to do his job. I don't do heights, but that's an awesome dragon... do you know what was the artist's inspiration? It was something in a story or game, and he changed it a touch. Don't have any tattoos and probably wouldn't climb a cell tower. I have a green shamrock tattoo on my right ankle. It's over 20 years old now. No tattoos and I doubt I would make it far on a cell tower. Our son on the other hand is another story. He has some very nice tattoos and is a rock climber so heights are not a problem. We have been trying to get him to do cell tower or wind turbine work. The New Hampshire Highland Games were the first we attended. It was the last year they held them at Loon Lodge before moving to the State Fairgrounds, which thankfully didn't last long before they moved back. I would hope you have attended the games at Grandfather Mountain which are closer to whee you live. We haven't been in several years. Grandfather Mtn. games are okay, but we enjoy the huge NH Highland Games in Lincoln, and we will be heading there next month. As cover model, Eric will be signing books at the Information Tent at the parade grounds. Stop by! How I wish we could. The NH Games have more cultural activities and the location is perfect. Three of the groups performing were there when we attended: the Glengarry Bhoys, The Brigadoons, and Albannach (back when most of them were in Clannadrumma). We usually go north in Sept. but this year we can't make it until Oct. Maybe next year.